Namdhari Tent Manufacturers is one of the foremost Manufacturers, Exporters, and Suppliers of Marquee Tents. 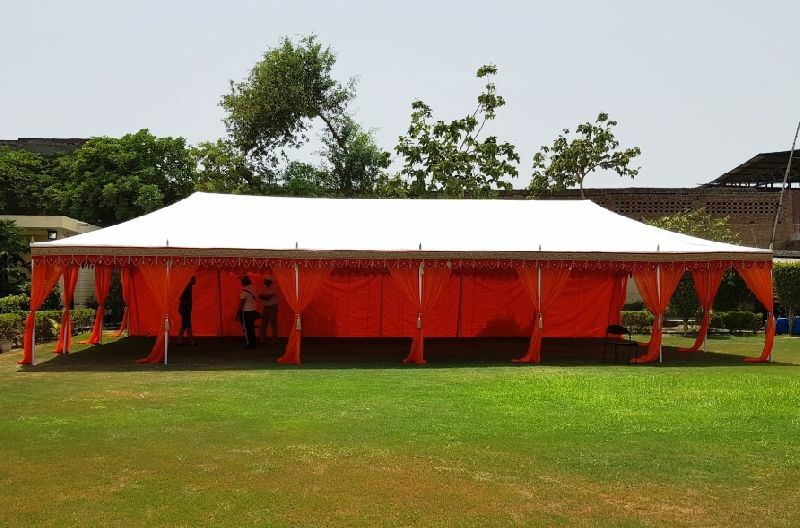 We manufacture Marquee Tent from special quality canvas that is eco-friendly and makes outdoor stay immensely comfortable. 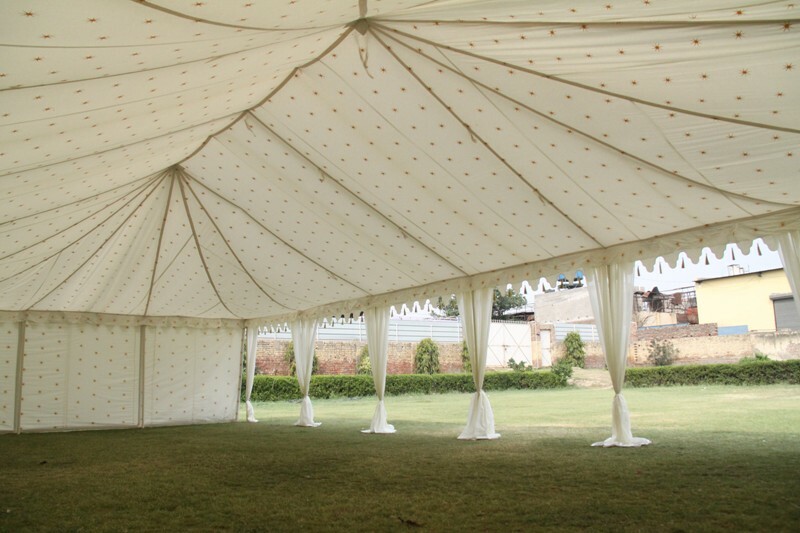 Our Marquee Tent is preferred for its appealing design and fine stitching. 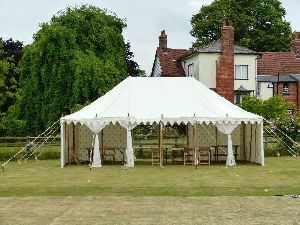 Our Marquee Tent is economical and made available at reasonable prices. 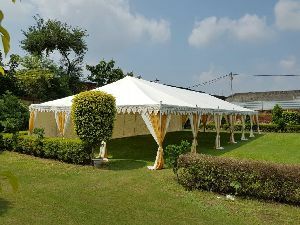 These are Garden Party Tents. 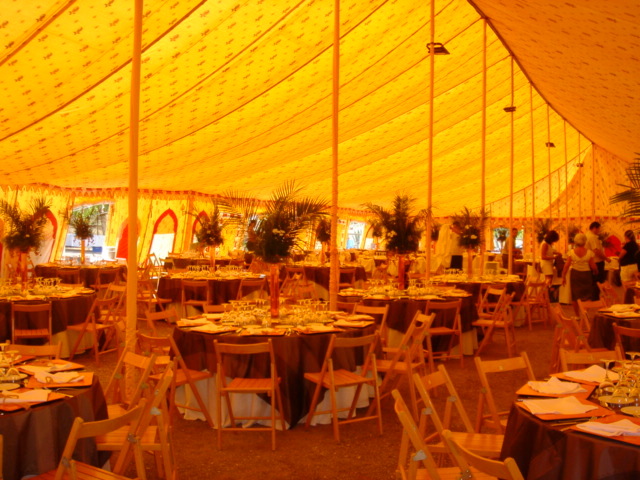 These tents are the traditional Marquees, erected on Center Standing poles and ridge poles. These tents can be made to erect on Bamboo poles or Metal Poles or Collapsible Metal pipe Frame. The Frame version of these Tents can be erected on Hard Grounds as well. 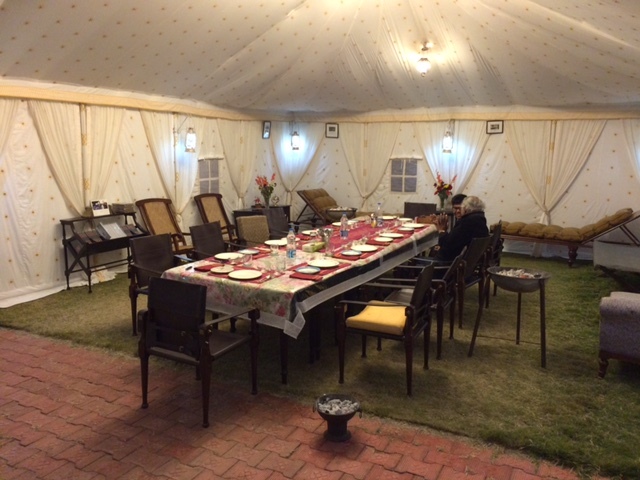 These tents have removable Canvas Walls which are put to close the Tent from all sides in Winters. 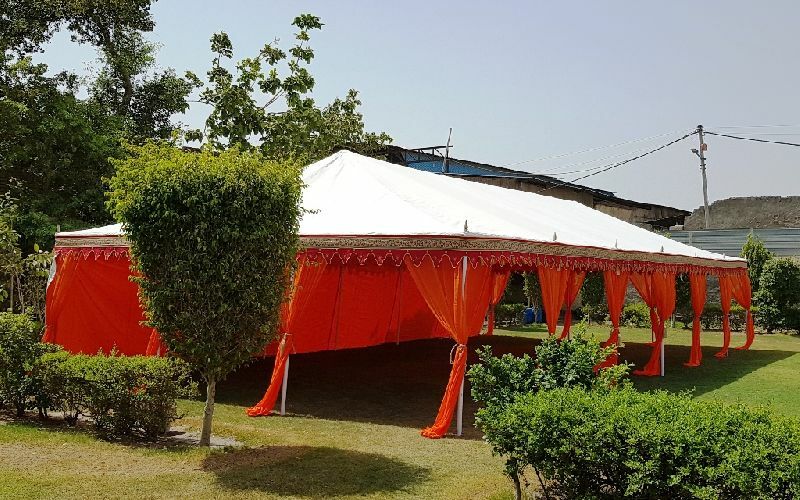 Alternatively, you can buy Voile curtains also and the Canvas walls can be replaced by Voile Curtains during Spring and Summers to let in light. 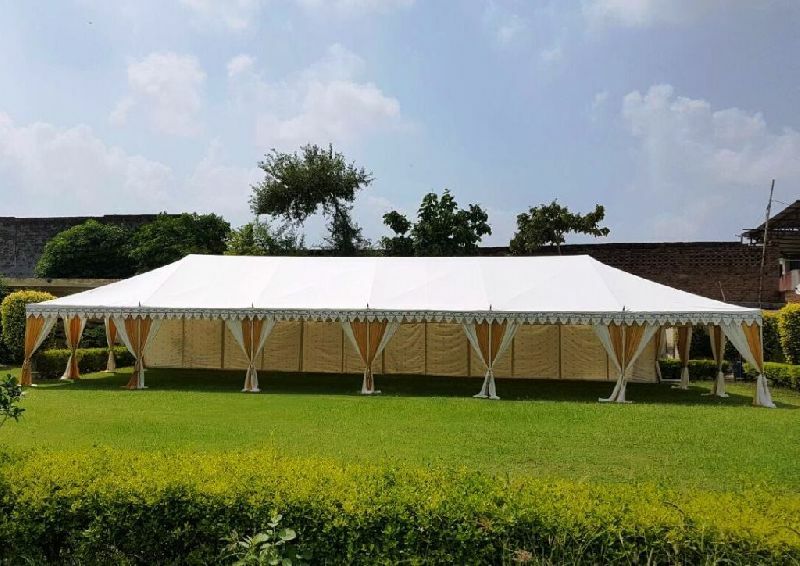 Cloth Combination : The tent top is made up of two layers of fabric, outer of water-repellant cotton canvas in Natural color and Inner of printed or plain cotton sheeting. 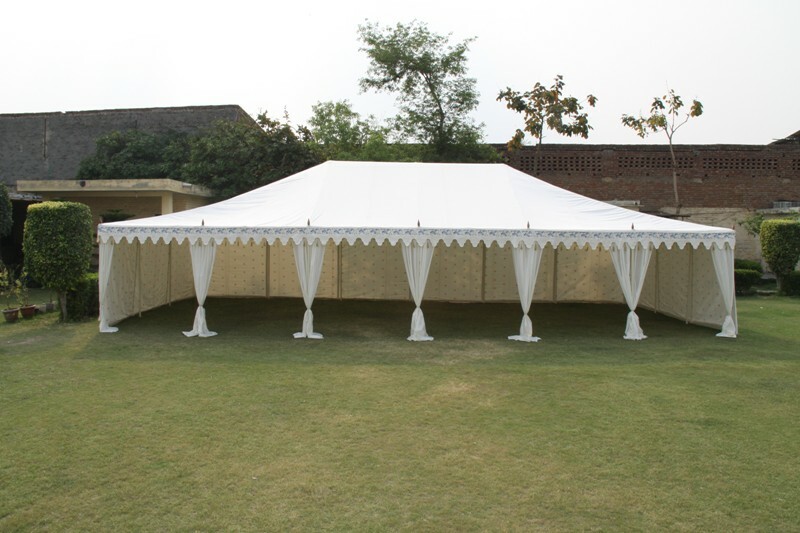 Erected on Bamboo poles or Metal Poles or Metal pipe Frame. 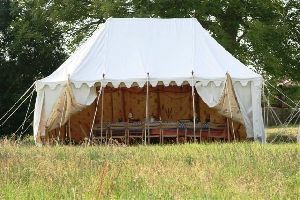 Frame : This Tent can also be erected on a collapsible metal pipe Frame with sockets. All standing poles have Base plates for more stability. 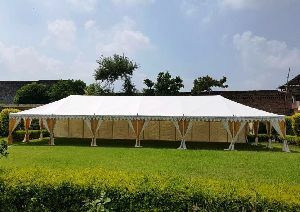 It has NO center poles, hence full inner area for utilization. 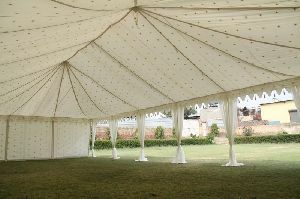 Making it easy to erect even on Hard grounds. Canvas walls : This Tent has two options, Canvas walls can be used in winters, to close the Tent from all sides. 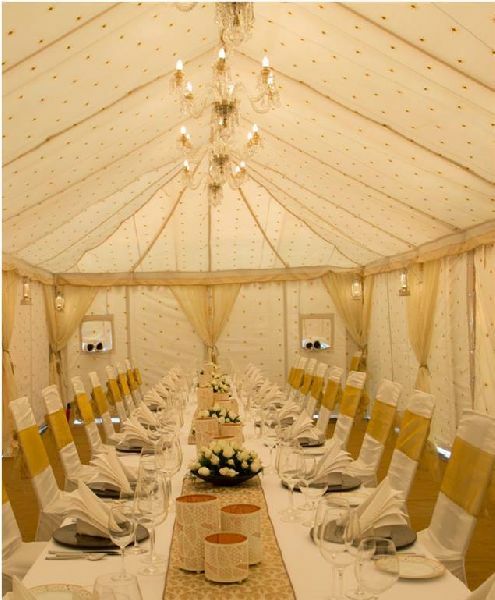 These Canvas walls can be replaced, all or some, with beautiful off-white or colored Voile drapes on all sides to let in air and sun-light during Spring or Summers. Voile Drapes : Voile pole drapes are hung around the side poles and can be tied with tassels and Tiebacks to replace some or all Canvas walls. 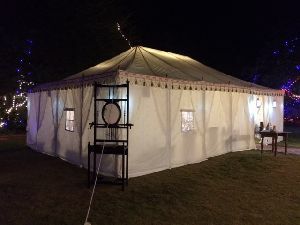 Accessories : The Tent comes complete with all accessories, Pole covers, Bamboo Poles, or Metal Poles, Wooden Pegs, Wooden pole tops, Cotton tassels with tie backs etc.